Airtel recently launched its 100th Next-Gen store in India with the opening of the new digital format store at Park Street in Kolkata. The new format stores are open and minimalistic by design and use cutting edge digital technologies to make the customer experience highly interactive elements. 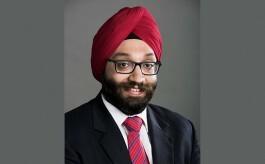 With the aim of transforming customer experience and thus retain old customers, while acquiring new customers, India’s leading telecommunications service provider Bharti Airtel is planning to turn all of its 2,000 Airtel outlets across India into next-generation retail experience stores over the next few years. 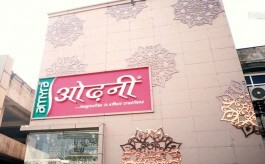 According to reports, Airtel currently has 500 company-owned, company operated (COCO) outlets, out of which 100 stores are in the next-gen digital format. Apart from this, the cellular brand has 1,500-odd franchise stores all of which are slated for revamp. The cellular brand recently opened its 100th Next-Gen store at Park Street in Kolkata. Conceptualised by the UK based 8 Inc, the next-generation stores come equipped with Quidini’s virtual queue management platform, which enables seamless, transparent and timely resolution at the kiosks. Vir Inder Nath, CEO – Retail, Bharti Airtel, shares with Point Of Purchase details about the next-generation digital format stores. What is specifically different about Airtel’s Next-Gen stores? Around 18 months ago, Airtel embarked on an exciting mission as a part of Project Next – its digital innovation program that is aimed at transforming customer experience across all of its services and touch points – physical and online. Clearly, we identified our retail store experience as a strategic component to transforming our service delivery. We spent over 2500 hours observing and talking to our customers to understand their pain points and solving their problems. The result is what you see today – the Next-Gen Airtel stores, which truly define our philosophy of driving a simple and seamless service experience for customers by leveraging the best of digital technologies, assisted by warm empathetic “airtel friends”. Here, we are obsessed about creating excellence in every customer moment and win them over as friends for life. Can you take us through the overall design of the store? 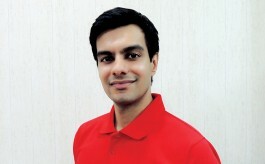 The Next-Gen Airtel Stores have been conceptualized by the UK based 8 Inc. The stores are open and minimalistic by design and do away with all barriers between the customer and the brand, and use cutting edge digital technologies to make the customer experience highly interactive through the concept of Share, Create, Experience. Share: This is the zone where customers interact with a Social Wall that collates Airtel stories and Airtel customer experiences from across the country on a digital screen. The aim is to inspire customers to imagine the possibilities enabled by the Airtel network. Create: This is a first-of-its-kind, interactive experience which allows customers to explore and discover Airtel services. In this zone they can design their own solutions digitally on a Touch Screen Table Top. Experience: The new stores have Digital Entertainment Hubs that enable customers to explore and experience Airtel’s digital content offerings - movies, music, Live TV, games and more. The stores also come with Digital Self-Serve zones that allow customers to pay bills, buy a new SIM, all by themselves. In addition, customers can get a first-hand experience of the Airtel network with the Open Network digital wall and give real time feedback. How do you map the customer behavior in the store? The new retail design reflects the philosophy of ‘Shape Your World’ which encompasses an environment which positions Airtel as a premium leader brand that is accessible to all, by demonstrating how smart, digital telecommunication technology can enrich your life. We have also considered and designed for how visitors to the new Airtel store will experience a series of ‘moments’ throughout, that will leave a lasting impression. These consist of connected interactions between the products and services on offer, the physical environment, and the customers. We acknowledge that a lot of customers who would be visiting us may not be digitally native and hence a key task for our teams is to make the willing customers digitally friendly. Furthermore, with multiple touch points for communicating a narrative to customers throughout the retail environment, we have determined a consistent method of expression of the Airtel brand. How do you see your on-ground stores contributing to brand positioning and sales? We see our Airtel stores bringing to life our brand proposition of “enriching lives” through multiple digitally enabled experiences which are assisted with warmth and empathy. The consumers can experience content of choice, network at their work, play, live places and create their personalised plans for themselves and their families which will be the best suited to their needs. Beside opening stores in Kolkata, are you also planning to open more Next-Gen stores in other parts of India? What are your future plans with regard to the new digital format stores? We plan to roll this across 2000 stores across India over the next few years.